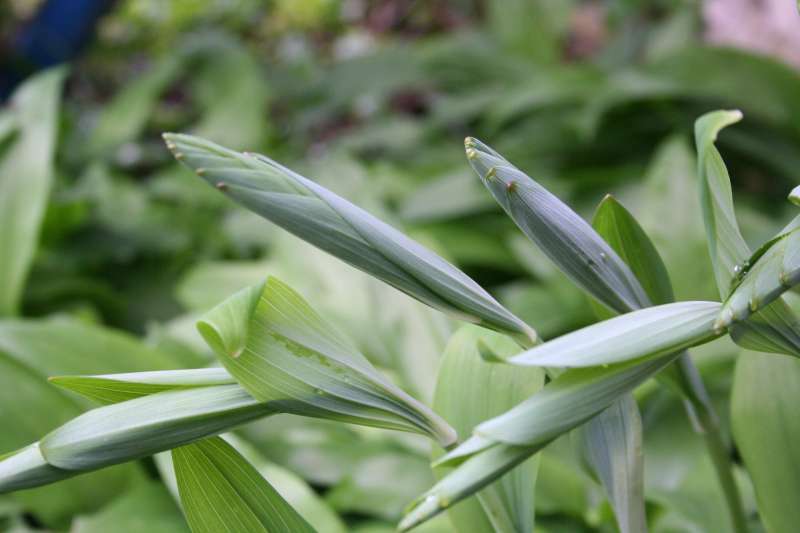 Solomon's seal is a commo garden plant, but it is also edible. The young shoots can cooked like asparagus. 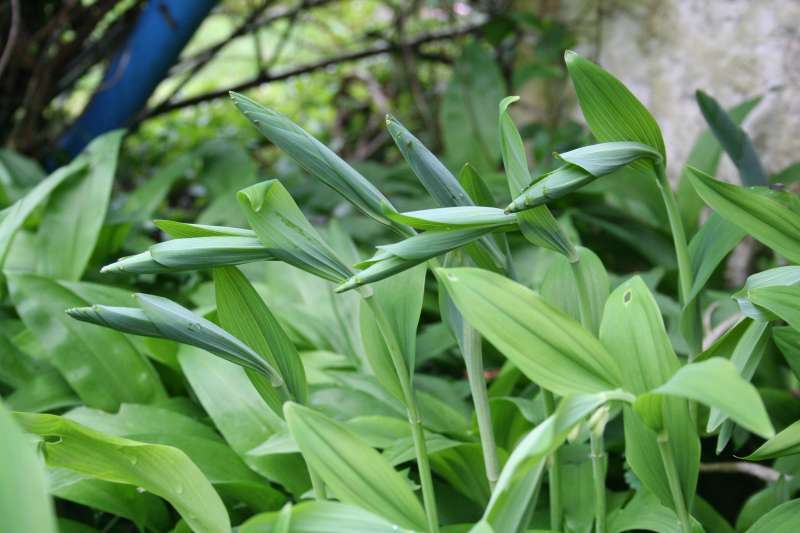 The photos sow our own Solomon's seal's young shoots, growing in with our ramsons. Polygonatum multiflorum is a British native plant. Plants for a Future on Solomon's seal.